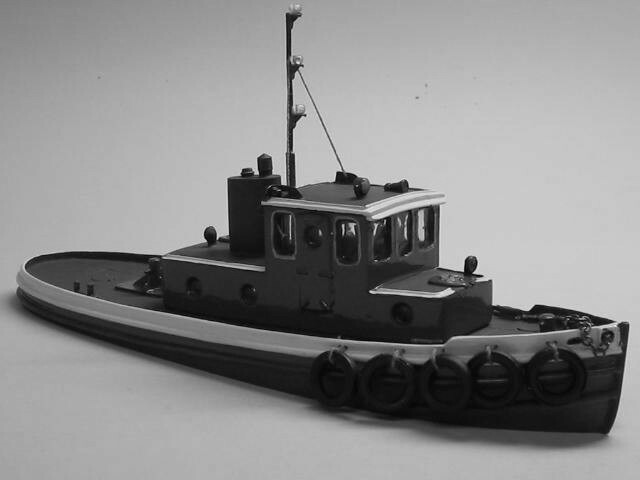 This tug was designed and built for the US Army Transportation Corps in the early 1950's. 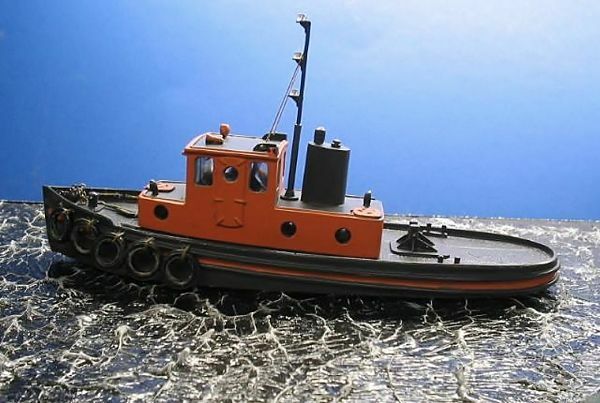 It was diesel powered and small enough to maneuver around crowded, busy ports. 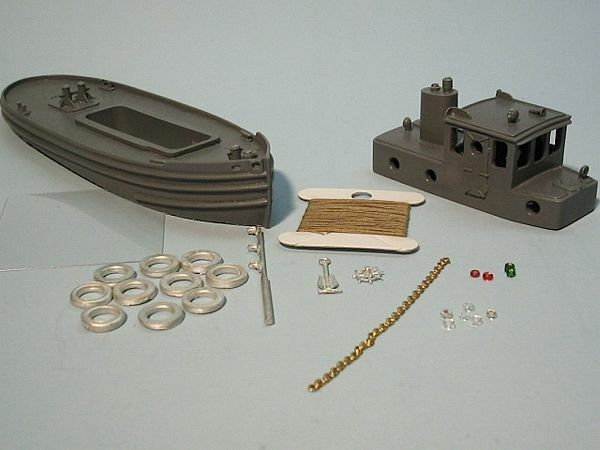 This detailed kit includes resin castings, Britannia metal detail parts, rope, anchor, chain, and tire bumpers (now cast resin). Completed kit measures 6¼". I am always blown away by the amazing detail that goes into these kits!